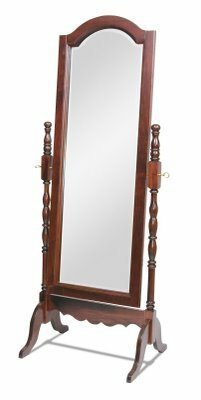 Our Amish handcrafted Victorian Cheval Floor Mirror is a standing full length mirrors floor mirror. This Cheval Floor Mirror will be the perfect complement to your bedroom or dressing room. Our Cheval Mirror adjusts for tilting views. Choose your wood and finish to match the rest of your bedroom decor.